I started by flying to Terceira, hiring a car and staying in Agra do Heroismo. The first day I made a walk up Monte Brasil and around the town. The next day the weather was mixed with some rain and I made a car tour of part of the island visiting the Algar do Carvao and Gruta do Natal. The third day I made a long walk in the south west partly along the coast. Staying in Velas I made two long walks, again with mixed weather, the Spine walk and the Three Faja's walk. In Faial I joined the Biosphere Expedition Group. 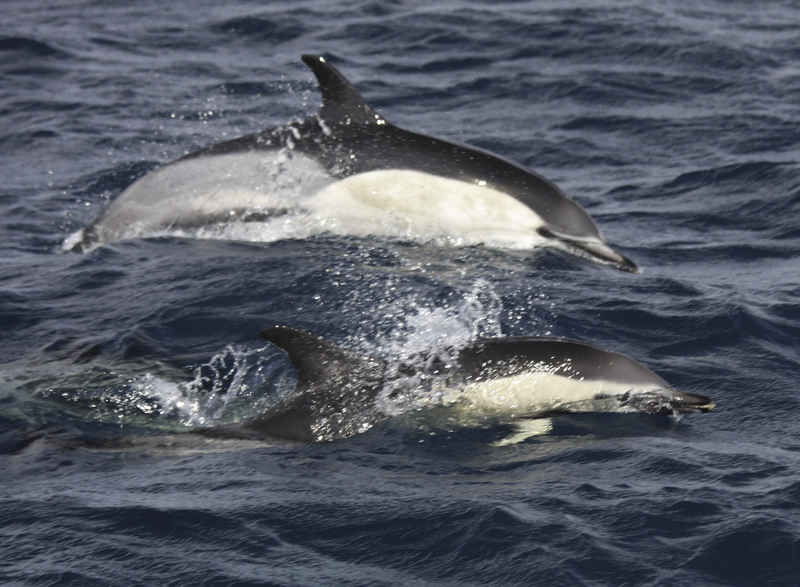 We went out each day on a small catamaran to study whales and dolphins. You may wish to learn more at www.biosphere-expeditions.org While in Horta, main town of Faial, we had the opportunity to visit the Caldeira on Faial and the neighboring island of Pico. 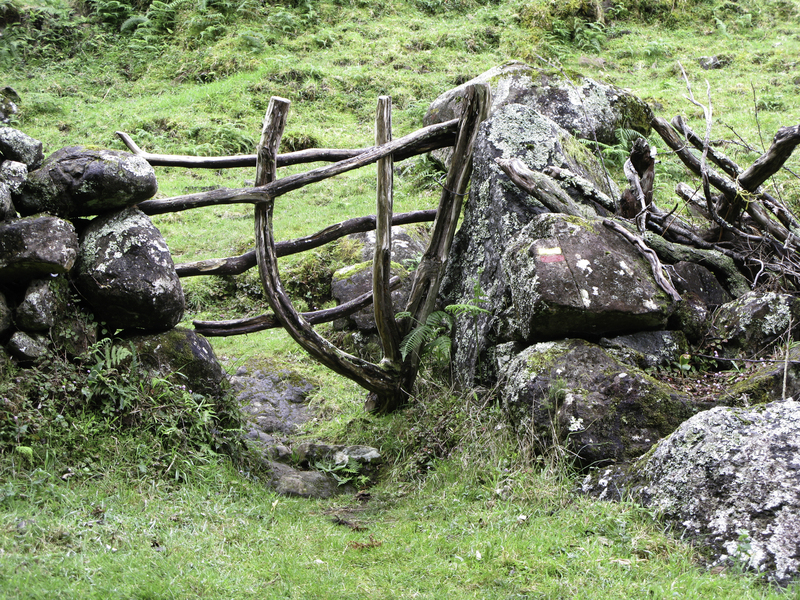 This walk with the group started on the slopes of Pico Mountain and descended to the port of Madelena. These photographs were taken by Lisa Steiner a scientist working with Chris Beer and running Whale Watch Azores. Those of the breaching Sperm Whale and Long-finned Pilot Whales were taken the day I left early for the UK.